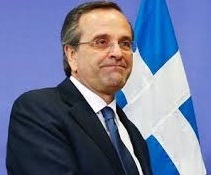 PR-USA.net... - Who is buying the new Greek debt? Who is buying the new Greek debt? If you think I have overdone with alcohol, don’t be so rude. I am just hoping the same chance as Greek government received today. Yes, they succeeded in selling 5-year securities at a price of less than 5% yearly interest. It is not a joke. The same Greece that received 300 billion euros in bailout funding and still owes this money to its creditors. By the way – these creditors are privileged ones and will have their money before any other investor, including the brave buyers of today’s emission. The same Greece that dragged down with her Cyprus, which banks crashed due to unpaid old Greek debt. In Cyprus are still active capital outflow limitations that had to be “temporary”. In fact it is not only Greece. Suddenly and as of nowhere disappeared all financial problems of Italy and Spain, and French problems never appeared. How this happens? Who pays so generously? You and me. Believe me, it is you and me.